Nestled in a convenient yet private location in CV schools this rare opulent estate is suitable for horses and in-home business! This home offers opulent entertainment and seductive living and is priced well under assessed value! Awaken to early morning coffee and step out on your spacious rear brick patio overlooking a tiered, professional landscape and ponder what the day will bring while visited by deer and song birds. Crafted with a sweeping gourmet kitchen featuring 4-person Island, ceramic tile and SS appliances, the floorplan flows into a huge Family Room with hardwood flooring, cathedral ceilings, exposed beams, stone fireplace and floor to ceiling windows. The first floor also offers a formal Living Room and Office / Den. Five bedrooms all with meticulous hardwood flooring, include a 1st Floor Master Bedroom Suite with unique bath area and private patio, personal baths for each bedroom and potential In-Law quarters with private bath, kitchenette and separate entrance. A finished generous lower level office or rec room with walk-out sliders to patio offers so much indoor space for in-home business area or just plain indoor fun! What else?! How about an indoor exercise area, 8 car garage, geothermal heating system with 5 separate zones, summer retreat area with heated pool, hot tub and 2 gazebos for quiet evenings! 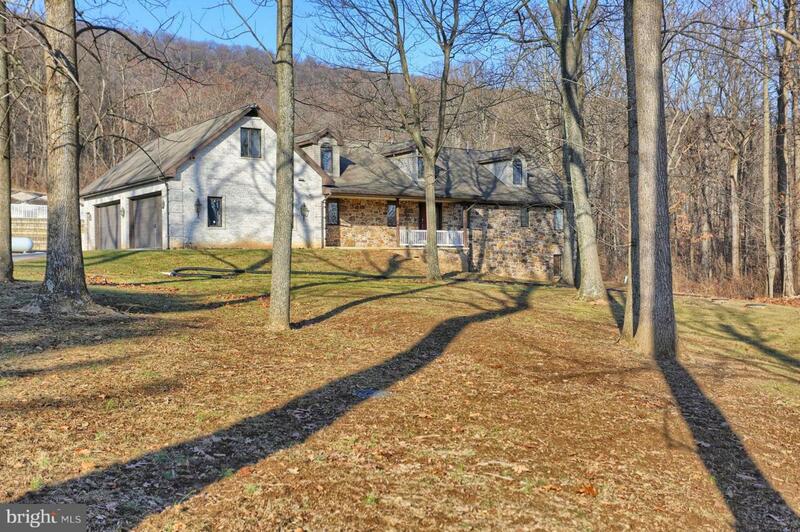 Though convenient to shopping, schools and transportation you'll never know it with the privacy and seclusion! Priced Under Assessed Value and available for our TRADE-UP PROGRAM, see agent for details.